Starred Review. 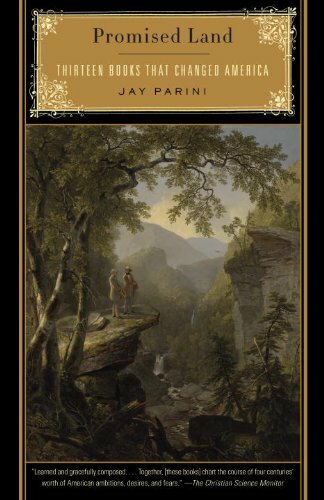 Poet, novelist and literary critic Parini (The Last Station) examines the books he believes represent the soul of the American republic. Some of these books are masterpieces, others icons of a moment in American history. Throughout, Parini makes his case while wearing his learning lightly. All of these works, from William Bradford’s Of Plymouth Plantation to Betty Friedan’s The Feminine Mystique, had a profound impact on America’s complex identity. The evolving American dynamic is noted in the way the subjects cluster: the American experiment (The Federalist Papers); exploration of a continent (The Journals of Lewis and Clark); a new connection with nature and self (Walden); issues of race and urban ethnicity (Uncle Tom’s Cabinand The Souls of Black Folk, among others); business and its opposite, the counterculture (How to Win Friends and Influence People and On the Road). A terrific chapter explores Dr. Spock’sThe Common Sense Book of Baby and Child Care (Spock said no to no). A listing of 100 additional books with seismic impact rounds out this engaging discussion, which ought to be on the syllabus of American studies courses.